So if you read my last post, you know that it's been a bit crazy around here. I mean, really, when is it not, but we have gone overboard even for ourselves! Ahhh, we are idiots. If you are interested in what's going on work-wise, you should listen to Popecast #3 up on Soundcloud! The podcast has been such a fun little side-project for us. It's neat getting to interact with Ron's fans on a more regular basis. Tazo Sweet Cinnamon Spice Tea: OBSESSED with this! I have it every night when I'm unwinding. You don't need to add honey or anything - it's perfect. Our anniversary: Is it lame to count your anniversary as one of your fall favorites? I literally don't care. 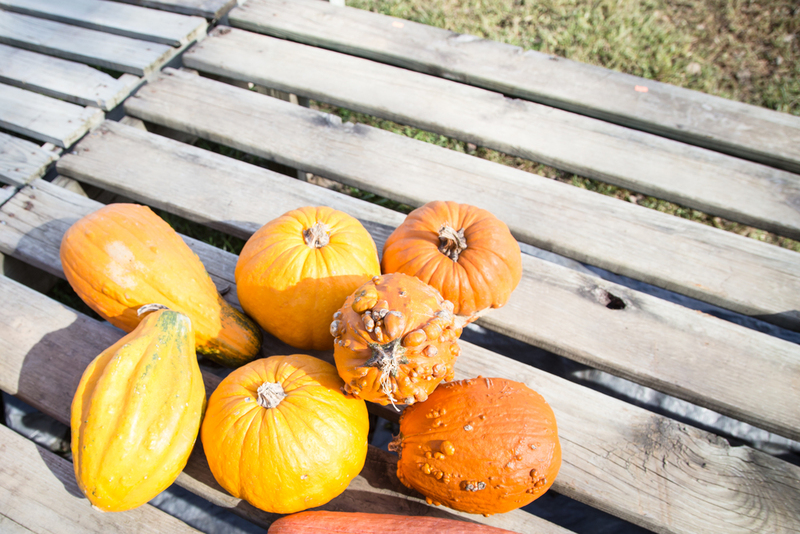 This year we couldn't make it up to the Hamptons (like we did last year - read here), so we went to a local pumpkin farm to pick up a few of everyone's favorite squash. We went over to Walden Farm which was pretty stinking adorable. They had so much stuff for small people to do and a pretty good selection of pumpkins. I will say that I missed our little Hampton's getaway, but with all of the traveling we've been doing lately, I didn't mind having a low key celebratory weekend. TWO YEARS Y'ALL - I THINK WE'RE GOING TO MAKE IT. Walks with Kady and Rp: There comes a point in every day when I either hit a wall, want to cry, or want to drink an entire bottle of wine (or all three). Literally my only saving grace has been this little puppy face. Taking 15-30 min to walk her through our cute neighborhood makes everything a little better. Tour Prep: This has zero to do with business! I'm talking about our mental and physical well-being. Tour can take a lot out of you, so we're trying to take extra good care of ourselves to get ready for it. This means going to the gym or yoga every morning, drinking less wine than normal (boo), and eating less starchy foods. Don't get me wrong - I hate this, but I know I'll feel better for it come January! I've also been getting my skin and nails winter-ready, by amping up my moisturizer routine (head to toe) and laying off the nail polish (but using vitamin E oil on them). If you know me at all, you know I'm obsessed with Kiehl's -- they make THE BEST heavy duty moisturizers and I can't live without them. The products I use are below! Look at the tour dates and come see us! SNACKS! Apples + sunflower seed butter is my new favorite (thanks to a tip from my cousin). Plus, have you ever had coconut covered dates?? Holy cow those things are addicting. They are my dessert when I have my tea. You can buy them both at Whole Foods or similar stores. Ok, I think 6 is enough. I'm feeling better already. Last night I was seriously a huge mess -- it's amazing what a night of sleep + counting your blessings (and ahem, foods) will do. 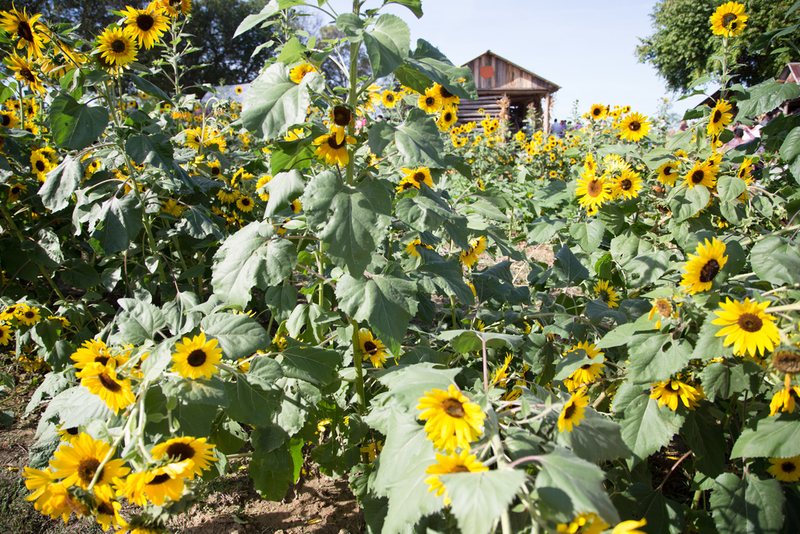 Pics are all from Walden Farm. I've been meaning to take a few of Nashville... so I'll go ahead and put that on my to-do list. Happy Saturday, babes! Travel/Tunes/Typical Days: HOLY COW, SEPTEMBER.